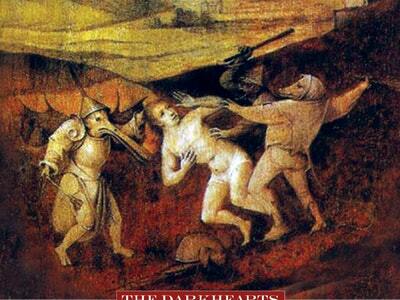 The Darkhearts take their songwriting cues from Thelonius Monk quotes, books of voodoo and news of the weird. Energy, light, and the lack, or abundance of energy and light are always common denominators whether something moves you and clicks, you can always feel the electric. The yin always with it's yang, the dark, always alternating with the light, negative always offset by the positive. The dark eventually always brings the light, crashing into our eyes and making us see what we hadn't before. This is The Darkhearts focus, to make you see the glimmer of a light in the darkness that is hiding in plain sight. Listen with your eyes and see with your ears.